Building your PC in a Micro ATX case will provide more space and room flexibility. The best Micro ATX computer case can hold all your hardware together in a small footprint that’s just as aesthetically pleasing as your other equipment, i.e, your monitor, aquarium, etc. What’s more, you’ll be able to lug your PC around for LAN parties or during game night in your friend’s house. Sound bars are smaller than home theater audio systems and yet they pack a huge audio punch whenever you need it. You can put them anywhere you like because they have a small form and are wireless, to boot. Bluetooth connectivity ensures you get sound immersion whether you’re gaming on your PC or watching videos in your phone or tablet. A small room that’s set up for gaming should always have these on hand. 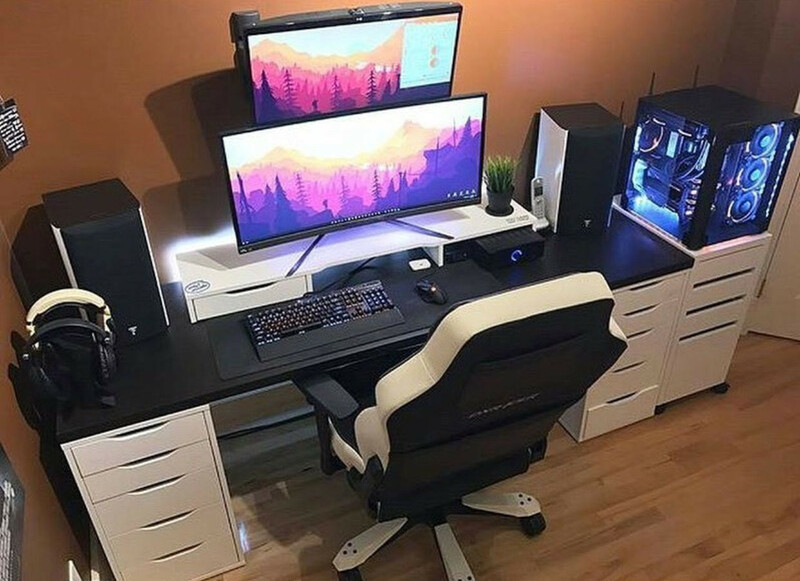 If it’s late at night and you wouldn’t want to disturb the neighbors, you can slip into a headphone and continue gaming without missing a beat. The best headphones for gaming and music will seal off the outside world and perhaps amplify your skills! Does your game interest spread out across a few genres? You’ll need a steering wheel for tackling turns behind a souped-up vehicle. Arcade style fight sticks are made for a true virtual fight game experience. A joystick allows for the feeling of being in an actual cockpit. While we wait for a time when everything’s wireless, you can keep your game room neat by tying the wires together using a cable organizer. You’ll also need a reliable power surge protector to prevent untimely damage caused by electrical surges. Your gaming equipment, PC, monitor, TV and console is kept safe with a trusty power regulator.